Betty’s garden party was a great event with 40 people coming to celebrate the work of five Sustainable Communities members working with Betty to rejuvenate her backyard vegie patch and fruit trees. Betty is 83 and not able to do the work herself. 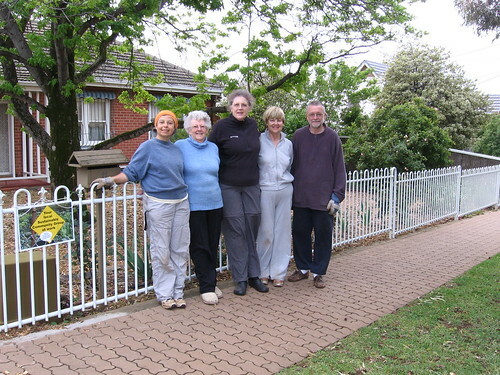 It all started 9 months ago when neighbour Tania suggested working together cooperatively. The result is fruit and vegetables and also friendship and support. We celebrated, shared food, explored the garden and listened to talks. Let me know if you would like to be a community group backyard garden volunteers.